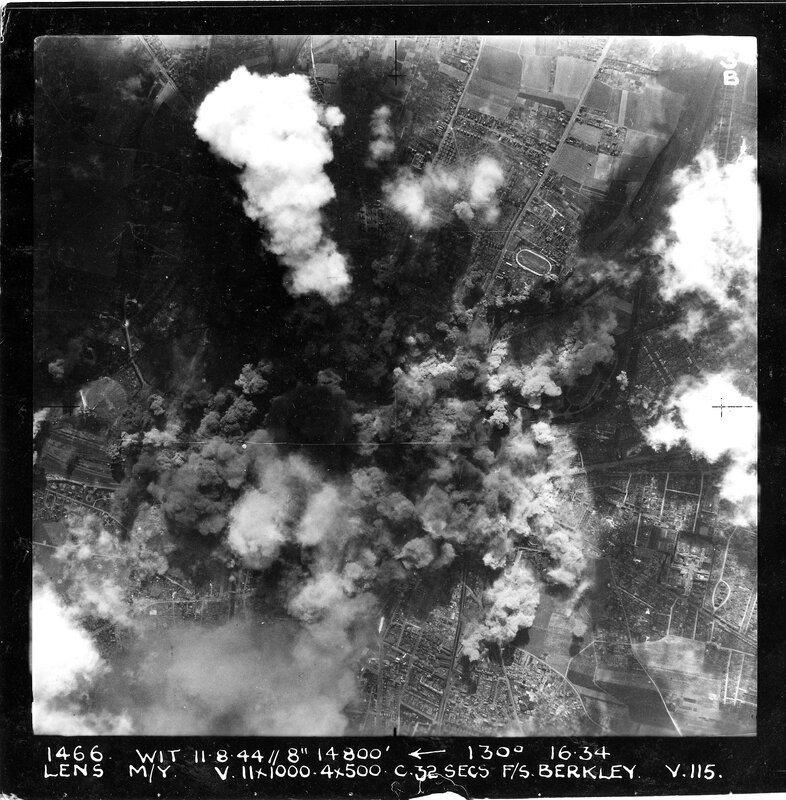 Lancasters successfully bombed the road junction at Villers-Bocage, which prevented a planned German armoured advance towards the British and American forces. 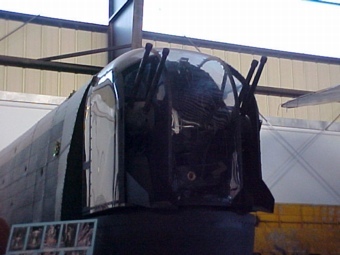 This was Johnston’s first daylight operation. Got ready for night op, checked over aircraft and rear turret U/S so spent most of the afternoon trying to fix it. Left Dave to work on it and came in but no sooner arrived then they called a briefing for an emergency target for the Army. Villers or something – apparently Rommel just arrived with a Panzer division from Russia (after three weeks travel) so we set out to make a mess of it. And we surely succeeded – Lord what a mess it was when we bombed!! I hope the soldiers appreciate out little effort. Not much opposition. Two kites collided from Mildenhall and two kites were shot down by flak. We bombed from 11,000 feet a bit early and got through OK.
Murray and Johnny missed briefing and S/L Klufas was going with me as Navigator – when Murray turned up he was disappointed as a kid! (He’s a good type too – I’d have enjoyed taking him – Folkes’ Nav was absent too but he wouldn’t go with him! Which isn’t a bit strange either). July 1 addendum – Heard today one lad landed on the beach head – bet he’s shooting a real line!